Runs Bigaria-label="A rating of 1 means too small, a rating of 5 means too big, a rating of 3 means true to size. This items average rating is 2.1. Adventure north to the most isolated Arctic military listening post, and chances are you'll find this U.S. Malamute Fleece Jacket well-represented. Built to strict military specs as a vital component of the long-popular Extended Cold Weather System. Super-warm malamute-style polyester fleece. Adjusts for a snug fit at the waist, wrists and neck to seal out icy wind. Huge zippered pockets to hold a mess of gear in comfort. All for a LOW surplus price. 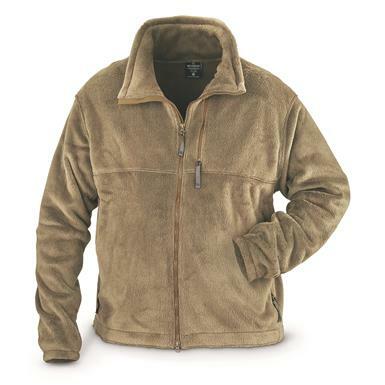 "Malamute" Polyester Fleece Locks in Heat. No dogs were harmed in the making of this Jacket. Instead the unique high-loft 100% polyester insulation of this Jacket was modeled on the thick, woolly fur of the famed Alaskan Malamute sled dog. The result was a superior polyester fleece, with an incredibly high warmth to weight ratio. This Jacket hardly weighs anything at all, but makes a world of difference as a layer under your Parka, or even just by itself. Don't get "dogged" by a surprise cold snap…be prepared, and order today! 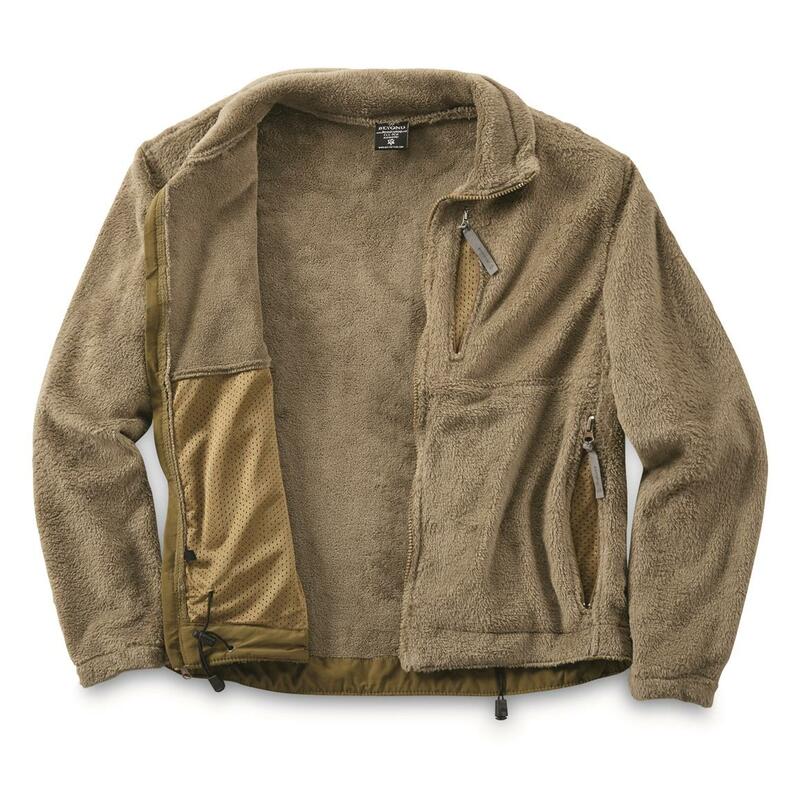 U.S. Military Surplus Malamute Fleece Jacket, New is rated 3.3 out of 5 by 24. Rated 5 out of 5 by Ed from Philly from WARM I have tried most ALL of the ECWS lliners. This is perfect. Comfy, feels and looks like something from "Dances with Wolves". Unzips from bottom, yay !. Warmer than the Grid fleece, and even can block a mild wind, so it can stand alone if necessary. This is a wonderful product to feel toasty warm in. I could go on and on, but then I would lose you (TLDR).BUY IT !!! Rated 4 out of 5 by Micky from Nice fleece jacket. Twice as thick as anything I had. Took a star off because the zipper sticks at first, and it also went on sale for $10 less right after I bought it, however it is a good layer. Rated 3 out of 5 by pete42 from Fleece Jackets The jackets came about a week after ordered. Quality OK , not as thick as they looked in the ad. XL was somewhat smaller than expected. Good thing I have grandsons who can use them. Rated 5 out of 5 by Rich from Great deal Super light and warm for layering. No issues with pilling or lint on other garments, but I wear it exclusively as part of my Army uniform. Well worth the price. 72 inches tall and 185 lbs - XL fits perfectly. Rated 1 out of 5 by Tom K from Not worth the price. Runs way too small for XL and way too short. Material is very thin fleece. The worse part is the construction, looks like it was sewn together lopsided, seams do not line up, zipper was sewn in wavy, I wouldn't say it was a factory second, more like a fourth or fifth. Not worth the price! Rated 3 out of 5 by ArtKodiak from Recommended, however... Color is more olive than brown. It runs a bit small/short (I'm 6'1", have disproportionately long arms & it's designed as an under layer). The fabric WILL pill for a while. After washing/drying once, I put it on under my jacket and my shirt looked like I came from a shearing party after a day of snowmobile patrol. Not as dense as I hoping for, but it is light and so works very well as an under jacket layer (as an Alaskan conservation officer, layering garments are constantly sought). Officer style for adverse conditions.